Samuel Roberts's father was Griffith Roberts (born about 1786) and his mother was Anna Roberts (born about 1786). Samuel Roberts was educated at Queen Elizabeth's Grammar School in the town of his birth. In 1844 he entered Manchester New College and, the following year, he began his studies at the University of London. He graduated in mathematics with a BA in 1847, then two years later he was placed first in the examinations for his MA in mathematics and physics. He was simply a private gentleman who pursued researches from pure love of investigation and desire to extend the boundaries of subjects that were attractive to him. And he never sought any recognition of his work; for him it was entirely its own reward. ... numerous and valuable, and they covered a somewhat wide range. Among the subjects to which his principal papers related were plane and solid geometry, theory of numbers, and link motion. He also wrote on the calculus of operations, interpolation etc. His writings on geometry included several important papers on parallel curves and surfaces. In theory of numbers he was interested in the Pellian equation and similar problems. Glaisher also records in  an interesting comment which Cayley made to him concerning Roberts. Cayley said that he regretted that joint papers were so rare in mathematics since he would have liked to have collaborated with Roberts, particularly on ideas which arose from Roberts' paper On the motion of a plane under given conditions. 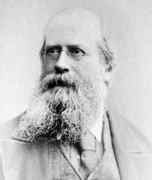 Roberts served on the Council of the London Mathematical Society from 1866 to 1892. He was Treasurer of the Society for 8 years from 1872 to 1880 and President from 1880 to 1882. He was awarded the De Morgan Medal by the Society in 1896. The greatest honour given to Roberts was his election as a Fellow of the Royal Society in 1878.